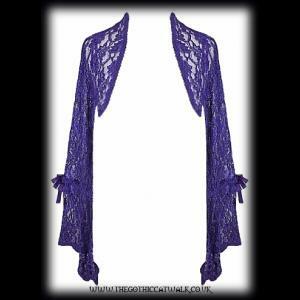 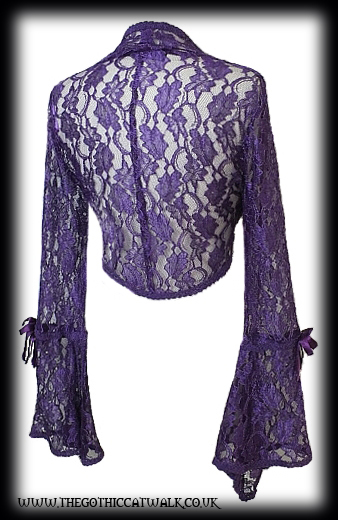 A purple lace gothic shrug bolero jacket with long sleeves. 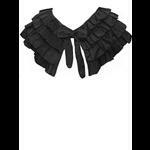 The sleeves are flared and split and are trimmed with braid as are the front edges and hem. 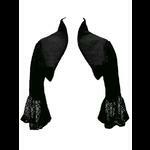 Perfect for injecting some colour to an all-black outfit!